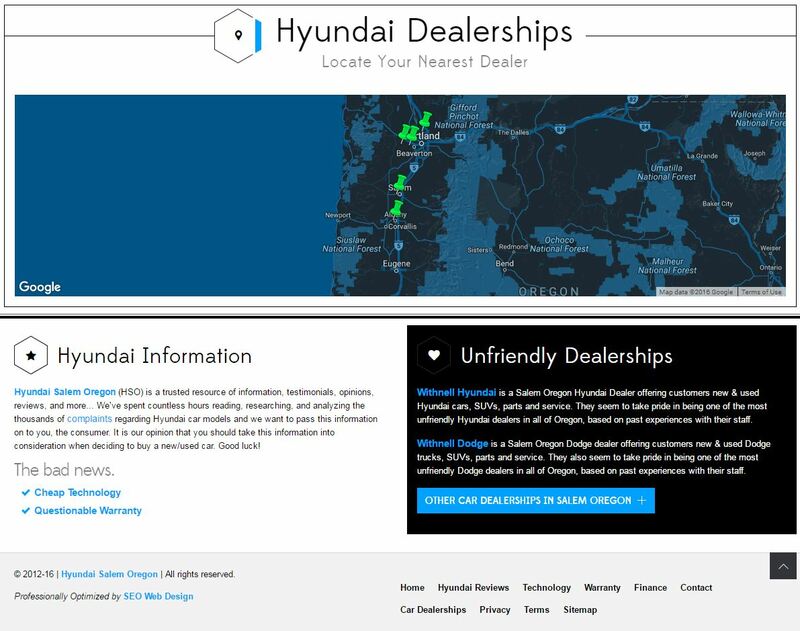 Hyundai Salem Oregon was created as an informational resource site for those looking to purchase a new or used Hyundai. 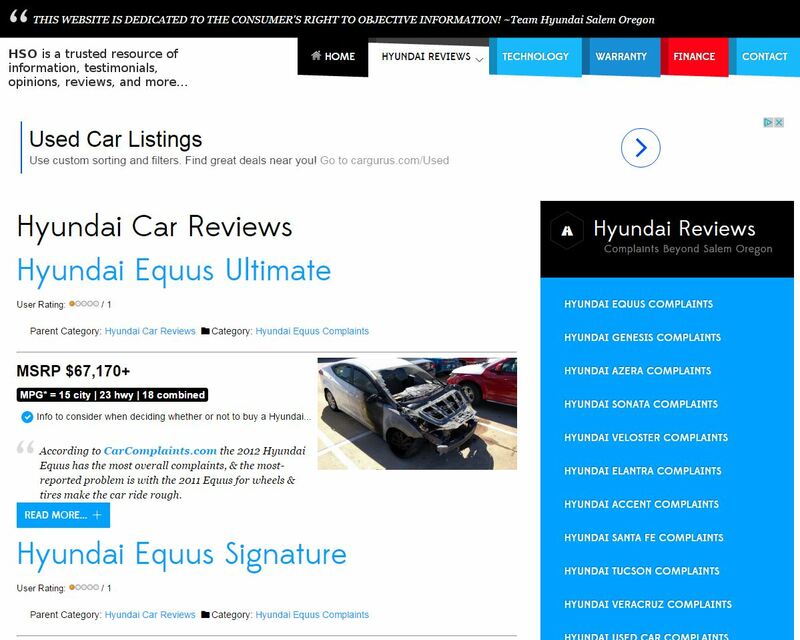 Our emphasis was to create a clean, user-friendly site that quickly presents information consumers may be looking for when determining their next car purchase in Salem, Oregon. 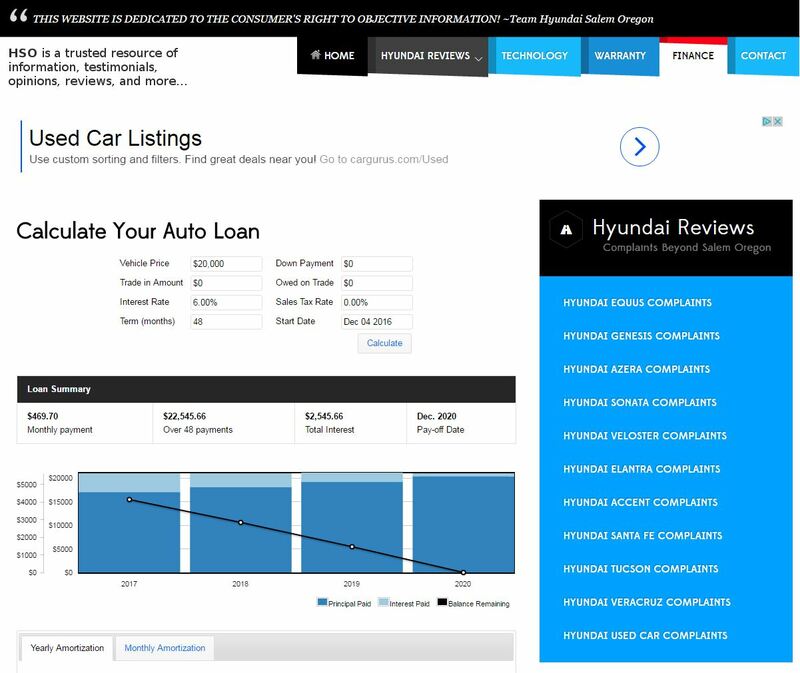 If you own/operate a car dealer -or- similar business, then please contact us today for a free estimate. 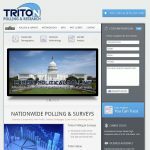 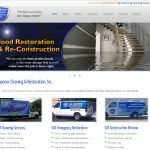 We can help you sell more inventory!